One of our most formal non-black ties by designer Parsley. 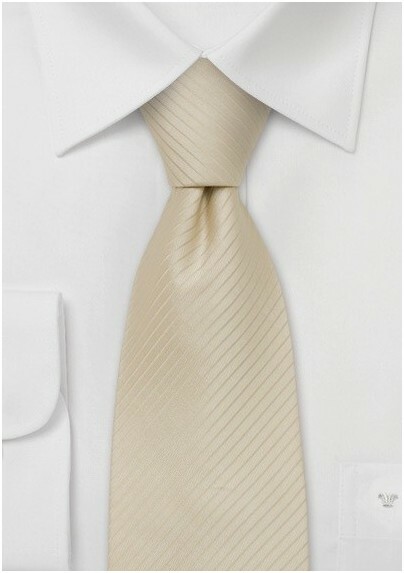 This ivory-cream colored tie is decorated with a fine almost un-noticeable striped design. This tie looks best when combined with classic navy, gray, charcoal, tan, or black suits. This festive tie by Parsley luxury neckwear is one of our best selling ties chosen by grooms for their big day. 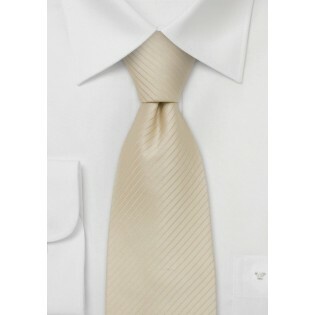 Although a popular tie for weddings, it is equally suited for an elegant business look during the spring and summer day. Handmade from 100% silk.